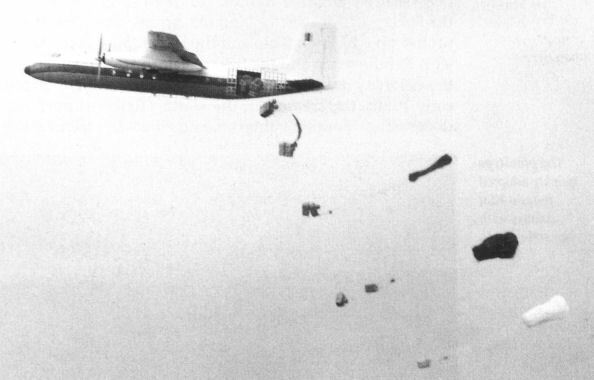 A Herald Series 401 of the second batch for the Royal Malaysian Air Force during para-dropping trials. The standard freight doors opened inwards to allow this. Со стороны военных интерес к Herald проявили только ВВС Иордании и Малайзии. На фотографии - первый из двух Herald 207 ВВС Иордании, снимок сделан незадолго до передачи самолета заказчику 22 января 1963 года. The first of two Herald Series 207s for the Royal Arab Air Force, 109, taking off from snow-covered grass at Woodley, January 1963. Model of the HP.124 tactical transport, based upon the Herald. 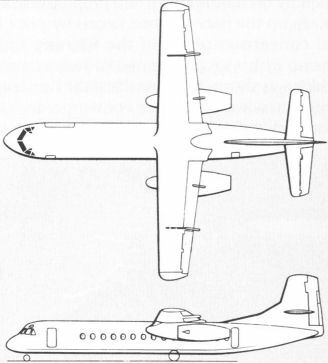 Artist's impression of the HP.127 Jet Herald. Note the 'new' nose design and the starboard freight door. 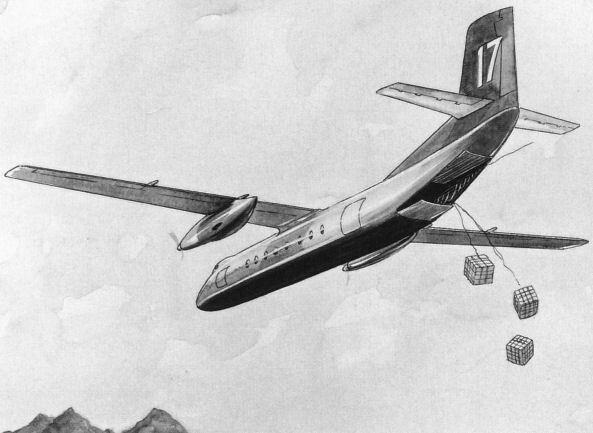 Artist's impression of an HP.124 delivering large parachute stores from the rear door. General arrangement, Handley Page HP.127 Jet Herald.